Bam! Zap! Wham! Images of these words in bold colors and fonts dance through one’s head. This is due to the impact comic books have had on the culture of America. The youth of this nation have been profoundly influenced and culturally defined or assimilated through these short visually oriented stories. The mission of the Graphiti Ink Publishing Co. (GIP) is to empower urban teens to create cultural influence through facilitating them in writing, drawing, and publishing their stories as comic books and graphic novels. This, in turn, gives them the confidence to believe in themselves and generate social change in their community. It is a way to give the power of the culturally significant iconic written medium of comics to the teens that read them. GIP’s motto is, Comics of, by, and for Teens. This is a chance for the youth that absorbs American culture to help in defining it. While doing this, the teens will garner skills in writing, reading, visual arts, business, and economics. Comic books in the modern sense have been a part of childhood culture since the 1930s. These small short stories tell of culture and societal perception through their target audience – children (Wright, 2001). I know that as a teenager, comics were an everyday part of my life and the lives of my friends. It was not just an escape into a fictional world, but an urge to create our own stories and something that taught us morality. For the most part these books have been adult artists telling fantastic stories which are professionally produced. Comics and graphic novels are quintessentially American, stories that have become a vital portion of the backbone of this country’s cultural influence on teens. It is time to turn the tables on this. Teens are more than apt at storytelling. Giving them the tools to place these abilities in a form that will work is the goal of the program. Many programs exist on this subject (Fitzgerald, 2004). The empowerment, social and self-awareness that students gain by writing does increase the effectiveness and value of urban youth on culture. (Jocson, 2006) In some communities teens have the tools at their disposal to connect and develop collaborative business skills in a creative way. In urban schools here in Rhode Island, the latest access to technology does not exist in all schools. Access and use of what is currently considered basic technology can aid in collaborative learning through simple systems such as cloud technology and document sharing. This skill is vital in the professional community (Yim, Warschauer, Zheng, & Lawrence, 2014). GIP’s usage of this and other technologies will fuel the program’s secondary goal, to prepare urban teens for the twenty-first century job market by improving quality of life and graduation rates. The state has been gaining ground in overall graduation rates since 2008, one of the factors in play is the insertion of two arts schools, Beacon Charter High School for the Arts and J.M. Walsh High School for the Arts. In the cities where these schools are housed Woonsocket for Beacon and Pawtucket for J.M.Walsh, the graduation rates from the main schools are very low. Tolman H.S. in Pawtucket is a 71% graduation rate as opposed to J.M. Walsh’s 90.5%, and Woonsocket is among the lowest at 61.5% versus Beacon’s graduation rate 94.8% (RI Department of Education, 2014). We can conclude from this that arts education is a large factor in improving student performance in urban environments. The basis of this program is to create an environment wherein students in urban communities can collaborate to share their stories with the larger audience. As an afterschool and Saturday program, Graphiti Ink Publishing allows for students to expand upon skills gained in the regular school day and acquire new ones. Through the process of creating comics and graphic novels, reading and writing skills will be increased with lessons in close reading using visual context (Yang, 2003). The creation of comics within the K-12 classroom has been a proven source of educational reinforcement as seen in The Comic Book Project. An initiative started in New York by Dr. Michael Bitz that has now grown to be used internationally as a means of classroom study (Bitz, 2014). In addition to art, reading, and writing skills, math and business will be reinforced when learning about the publishing end of the comics industry. Open to students grades nine through twelve, the focus is on enriching the lives and hope of urban teens in Rhode Island. 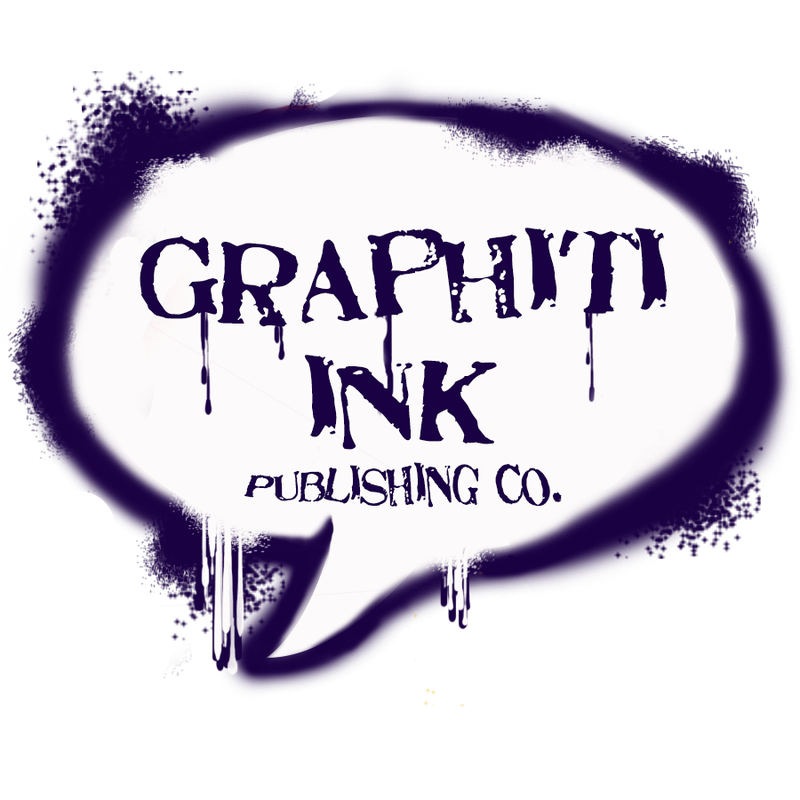 Targeting urban youth, Graphiti Ink Publishing is looking to gather our artists from Providence, Rhode Island and surrounding urban communities; Cranston, Pawtucket, and Central Falls. These communities are four out of the top five Title 1 school departments in the state, each with over $2,500,000.00 in allocated funding. Providence has the highest allocation of funds at $21,320,552.00 in 2013 (U.S. Department of Education, 2013). These facts provide a picture of the economic needs of the students in these cities which is why we are hoping to start GIP at the Artists Lofts Locations 283 Harris Avenue, Providence (Grandberg Bros. Wallpaper Co. Building) or the Hope Artiste Village 1005 Main Street, Pawtucket (on the border of Providence and Pawtucket). In order to better facilitate participation from the teen community, a web presence is needed. The following website contains the program proposal and elements integral to the program that involve methods of participation http://graphittiink.weebly.com/the-proposal.html. In part, this program will educate teens in the twenty-first century skills necessary to break the cycle of poverty. This will be achieved by giving teens the twenty-first century skills necessary to be competitive in a wider job market. GIP would like to see its students leave with a sense of higher self worth after accomplishing the achievement of publishing a comic book from the ground up. As making comics and graphic novels is a collaborative art, that is one skill in the four twenty-first century skills students will learn in abundance along with creativity, communication, and critical thinking (P21.org, 2014). · Studio time – an opportunity to use the facility to work in a production studio environment. · Guest artist workshops – A myriad of guest artists from the area will come and speak about their work in the fields of writing and sequential art. Sources for these artists will be the Rhode Island School of Design and the Rhode Island State Council on the Arts. The staff of GIP will be composed of artist professionals with experience in education and the fields of non-profit publishing, sequential art, and creative writing. To ensure the quality of both the education and the publications the following framework of administration will be employed. Responsibilities of the Executive Director are, in no specific order, to serve as the liaison between the board of directors and the functioning arm of the organization, to garner funding from multiple sources, to develop relationships with businesses and community leaders, and to manage, maintain, and hire the staff. A building administrator’s certification from the Rhode Island Department of Education is required for this position. The Education Director is responsible for the development and growth of classes offered at Graphiti Ink Publishing Co. The Education Director must also maintain the connection between the course programming and national standards. The Education Director is likewise responsible for the performance of the artist-instructor staffing. In conjunction with the Executive Director, the Education Director seeks out and brings guest artists to the organization for the Saturday workshop series. The Development Director is a part-time position primarily responsible for seeking and writing grants to fund the guest artist workshop series and scholarship funds. Secondarily, this position has the task of maintaining alumni tracking. The Development Director reports directly to the Executive Director. The Office Manager is responsible for all record and bookkeeping. The Office Manager keeps a catalog and library of all publications and artwork. Responsibilities include the ordering of all necessary supplies, maintenance of equipment, and accounting of all revenue. The Office manager reports directly to the Executive Director. The Assistant to the Executive Director is responsible for the calendar of the Executive Director. Responsibilities also include scheduling and chairing weekly staff meetings, scheduling and serving as both recording and correspondence secretary during quarterly Board of Directors meetings. Artist-instructors are professionals in their discipline (writing, visual arts, and/or publishing). Each artist-instructor must follow the curriculum supplied for the class in which they teach. The methods of teaching, however are up to the individual artist-instructor. Artist-instructors report directly to the Education Director. Founder Jason Robert LeClair has been an arts educator since 1999. Prior to his work in the classroom, LeClair served as a visual art tutor and mentor helping students prepare for acceptance to art school. His students have matriculated at The Art Institute of Boston, Maine College of Art, Massachusetts College of Art and Design, Rhode Island School of Design, and Savannah College of Art and Design. Many have gone on to be professional artists in the fields of animation and illustration. He is an honors graduate of the Massachusetts College of Art and Design (1997) with a BFA from the Studio for Interrelated Media. He currently teaches in the Rhode Island School of Design continuing education program and at the Beacon Charter High School for the Arts where he has been named District Teacher of the Year for 2015. LeClair teaches visual and theatre arts at Beacon, a Title 1 school serving urban and suburban students statewide and located in Woonsocket, the third largest recipient of Title 1 funding in Rhode Island. LeClair’s leadership experience in non-profits comes from serving as President of the Rhode Island Theatre Education Association (RITEA) from 2010 – 2014. This included planning, supervising and producing the New England Drama Festival 2013. Twelve schools from six states participated in this event totaling over 500 participants. He also serves on the Rhode Island Stage Ensemble’s (RISE) Board of Directors as the Director of Education. Within the duties of this office, LeClair has moved his long-standing summer stock youth theatre group, the Left of Center Stage Players where he serves as executive director. A member of National Art Educators Association (NAEA) and the Rhode Island Art Educators Association (RIAEA), as well as a former member of the Society of Children’s Book Writers and Illustrators (SCBWI), LeClair has participated in conferences and events nationally since 2006. His artwork has been published in trade publications for SCBWI and in his illustrated novel Broken Silences as well as two children’s books. His fantasy illustrations have been exhibited in galleries in Boston, Providence, and Miami. Providence is named the Renaissance City and the Creative Capital. The political push for arts and arts related education is strong here. Rhode Island is also the home of several multi-national and national corporations with granting arms. Many of these corporations are interested in keeping business within the state and advancing the economic growth of Rhode Island. These include, but are not limited to, GTECH industries, Hasbro Corporation, Amica Mutual Insurance, and CVS. This state is also home to many colleges, including a leading ivy league school, Brown University and the famed RISD. To garner funding and support from these institutions, one needs only to research their websites. For example, GTECH has a simple application for grant funding that is easily accessible from their home page. Looking to governmental support, the Rhode Island State Council on the Arts also grants funding for initiatives in arts education. I contribute to the committees on arts education, and continue to develop my relationship with RISCA. I am confident that along with governmental, private funding, and grants from societies such as the Providence Rotary Club (at which I have given lectures on creative thinking in business and the classroom), we will be able to achieve our goals for salaries and physical plant operations. For initial materials and supplies, we are looking at applying for in-kind grants to Canson paper co., Apple computers, Wacom, Adobe, and Newell-Rubbermaid, Inc. (makers of Prismacolor products) as well as other art supply manufacturers and supply stores. GIP is also hoping to partner with local news media outlets to create an interest in the company by publishing in those newspapers. To benefit GIP, the sales from all comic book publications will go toward replenishing these materials. In order for this to work, GIP must publish issues weekly and distribute titles through companies such as Midtown Comics of New York. Utilizing social media and e-publishing will be the first step toward this goal. Subscriptions will be targeted to several groups dependent upon the content of each book. Some subscriptions will be for community outreach programs and schools, while other titles will focus on the traditional styles of graphic novels and super hero comics. Release parties for new titles will also generate interest and income. U.S. Department of Education. (2013). ESEA title 1 allocations – FY 2013. About ed. PDF download, Rhode Island. Retrieved from http://www2.ed.gov/about/overview/budget/titlei/fy13/rhodeisland.pdf.